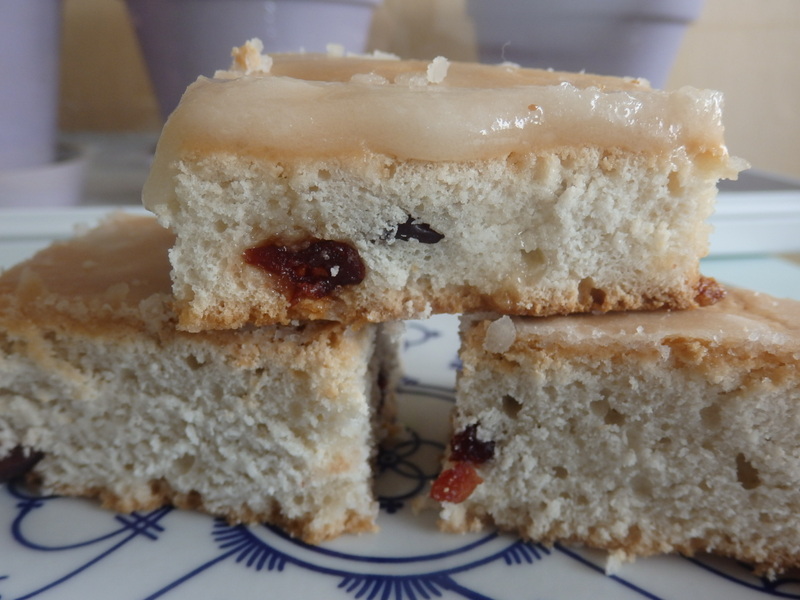 I promised you the recipe of my pre-Mother’s day easy peasy me-time cake. – 2 cups of flour, one cup of sugar and a sachet of baking powder ( 16gr). – mixing bowl, wooden spoon, baking tray, a bit of oil to brush on your tray. Oil your baking tray ( I used one 20 x 30 cm tray, and a tiny round one to make a cute little extra cake). Heat your oven to 160 degrees Celsius. 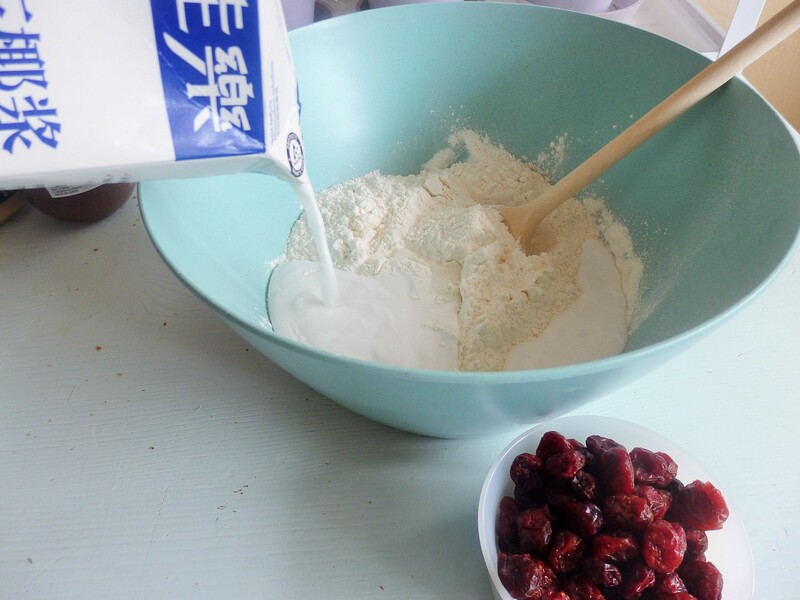 Mix you flour, sugar and baking powder. Stir in coconut milk slowly. Your batter should not be too liquid. Nice and firm will do. Add the cranberries en stir briefly to mix them with the batter. Put into your baking tray(s) and bake for 45 minutes below the centre of the oven. Allow to cool down a bit before removing the cake from the tray. Meanwhile sqeeze your lemon and stir in enough powdered sugar to make some nice icing. Carefully pour the icing onto the cake and allow to set. Once the cake has cooled down and the icing is firm…..enjoy! PS: guess what happened yesterday? I got spoiled rotten by those sweeties of mine! Cake, coffee, candy, drawings, letters, and afternoon at the beach in.the.sun. And only some mild tantrum-y stuff by the end of the day. But then it it was almost bedtime, and we’d had such a great time together…I just didn’t mind anymore…..
Hurray for unexpected perfect days.